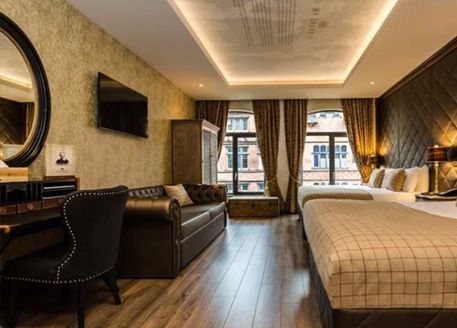 Hotel room investment is one of the fastest growing types of commercial property investment, popular with investors that want to add an alternative asset class to their property portfolio. Investing in hotel rooms is similar to investing in a buy-to-let property, allowing investors to make an affordable and accessible investment in the commercial sector that promises generous rental returns. Investing in a hotel room is a similar investment to traditional buy-to-let property that has a number of short-term tenants over a period of time. The typical process of investing in a hotel room is that the investor purchases and takes ownership of the room, but the hotel operator takes charge of letting the room out to guests, and they also maintain and manage the room, ensuring that the room can continuously generate the desired returns. The hotel rooms are sold fully furnished, ready to be let out to guests to start generating returns immediately. The operator looks to maximise occupants in their hotel and will want to increase room rates, meaning that they benefit from having more people at their hotel, but the investor also benefits due to more people staying in their room. Hotels tend to sell rooms and pass on their ownership rather than taking all of the income generated, in order to aid the development process. The buying process for investing in this type of property is similar to investing in other types of property. After you have decided on the room that you want to purchase, you pay the deposit and the room you have chosen will no longer be for sale. After contracts are drawn up, exchanged and signed, the buying process will be completed and the ownership of your room will be transferred over to you. You then sublease the room back to the hotel, in order for them to let it out to guests. A hotel room investment offers investors the opportunity to invest in a type of property that doesn’t bring typical negatives associated with similar rental or buy-to-let investments. When investing in these types of properties, there are often complex challenges such as rent not being paid; the need to re-advertise your property due to short stay tenants and finally maintenance or repairs to the property. The hotel rooms available to invest in are also typically fully furnished, meaning that you don’t have to pay out any money initially to put the room in a position to be ready. The hotel operator manages the room and ensures that it is always available to guests, in order to maximise occupancy. An advantage to this type of property is that hotel rooms cost less to purchase than mainstream property investment opportunities. The prospect of hotel suite investment is more attractive to first time buyers or investors that are reluctant to invest large amounts of money into one single investment. To add to the attractive, lower cost of investing in this type of property, hotel rooms are known for generating higher returns than mainstream residential or commercial properties, which when considered against the amount of work and money you have to put into the hotel property investment after the purchase, means that any returns generated are pure profit. Plans for the multi-million-pound rooftop venue have been released, which is set to be completed by the end of next month. 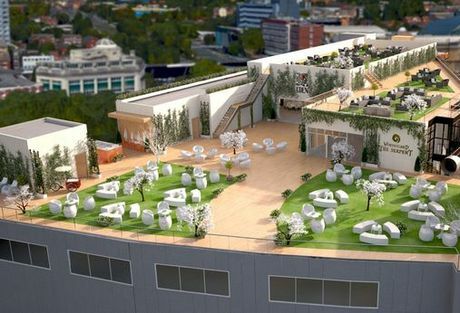 The rooftop venue will have breath-taking views which will overlook Liverpool’s skyline and beyond. Construction on the historic Coal Exchange in Cardiff is now well underway, with the transformation plans costing more than £35 million. 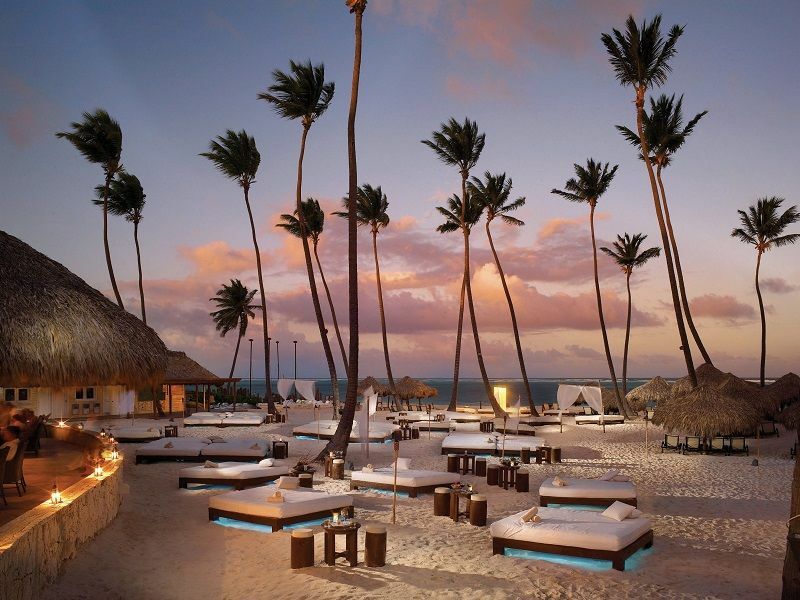 Looking for a hotel investment?